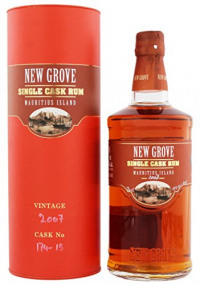 "70cl / 49.9% - Half of this rum matured in new French oak and half was matured in ex-Cognac French oak beofre they were brought together at a natural strength of 65%. Over the following 3 years it was then slowly diluted down to 55% to create a perfect marriage. The outturn was 526 bottles."